Exposes the piano student to the wealth of color and imagination of the classical literature. Includes: The Blue Danube by Strauss, Peter and the Wolf by Prokofiev, Theme from the "Unfinished" Symphony by Schubert, and more. 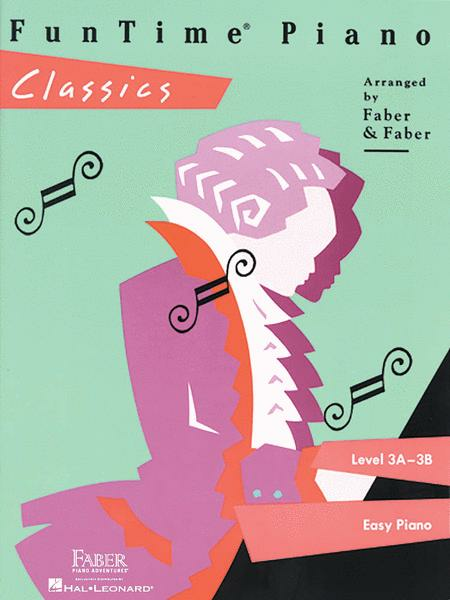 Drawing primarily from symphonic and operatic literature, this level exposes the piano student to the wealth of color and imagination of the classical literature. Blue Danube Waltz Performed by Johann Strauss Jr.
it was a really great book to play out of, has lots of classic songs. 54 of 95 people found this review helpful. 33 of 71 people found this review helpful. play almost any song in the book without practicing as long as your at least intermediate level. I really love it. 69 of 97 people found this review helpful. March 28, 2007 Wonderful Melodies! This is a great collection of beautiful melodies for the early intermediate student. In the past I've had to pull a song from one book, another from another book, etc. for my students, but almost every song in this book is inspirational, fun to play, and well-arranged. 30 of 65 people found this review helpful. This is a great book for piano students. It took me a few days to master (it was very easy for me). It is also a great book to improvise on.